Situated in the sumptuous grounds of the St. Albans campus, we are looking for passionate and experienced Grooms to join our equestrian team. The role is responsible for the daily care of our 30 stabled horses, helping to manage and maintain a busy commercial equine yard and ensuring high equine industry standards at all times. Part of this role also involves working with and supervising students to support their personal development and learning skills so great communication is key. The successful candidate will be educated to at least BHS Stage 2/NVQ Level 2 or will have equivalent experience. Recent experience within a yard and working with young people is essential. Please note, this role requires working on a rota basis – 4 week days with 1 late night check – 7.30pm – 8.30pm and working either 1 Saturday or Sunday each week. WHY CHOOSE US: Oaklands College is a Further Education College based in St Albans and Welwyn Garden City – both campuses are well connected to public transport and motorways. We have regular feedback sessions for employees called Staff Voice that are held with the Principal and key Senior Managers and offers the opportunity for employees to discuss day to day issues around the college and provides them with insights into future plans for the college. We hold an Investors in People Award and pride ourselves on our strong ethos of inclusion and diversity. Our college community offers opportunities to become a meaningful part of the wider community through enrichment and extra-curricular activities. WHAT WE OFFER: •	Starting Salary £18,612 per annum with progression up to £19,714. •	30 Days holidays plus 8 days bank holiday. •	Automatic entry into the Local Government pension Scheme. •	Free onsite parking. •	Subsidised onsite restaurant. •	A cycle scheme and discounted gym membership. We have one of the best equestrian departments in the country and run equine lessons and courses for all levels, from novice to competitive rider. 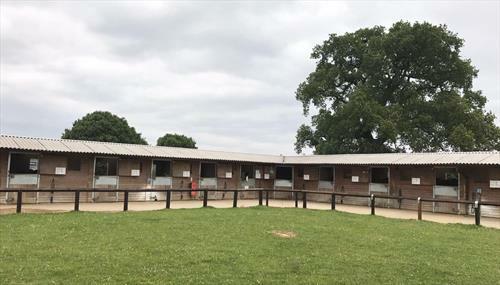 Modern stabling for up to 31 horses A solarium, horse walker and weighbridge A range of horses for all abilities Indoor and outdoor arenas Extensive paddocks, grazing areas and a four mile hacking track A wide selection of show jumps and a cross-country course. Our Centre regularly holds unaffiliated Show Jumping, Dressage and Riding Club competitions which our students are encouraged to take part in.